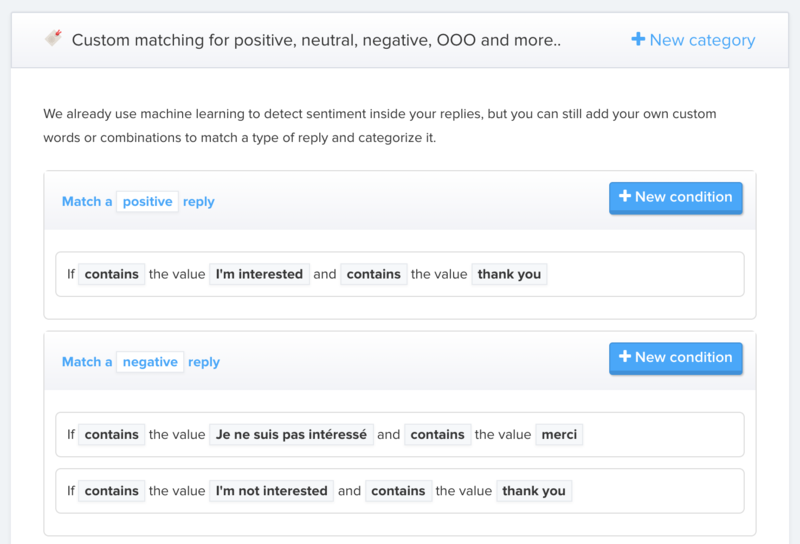 We automatically detect if a reply is positive, negative, out of office or neutral. You can add your own rules to match a specific type of reply. Anyleads will detect and tag your replies in order to make them categorized in folders. You are able to add and create your own custom matching. That's mean you can create a category and add specific rules for matching a reply inside this category.